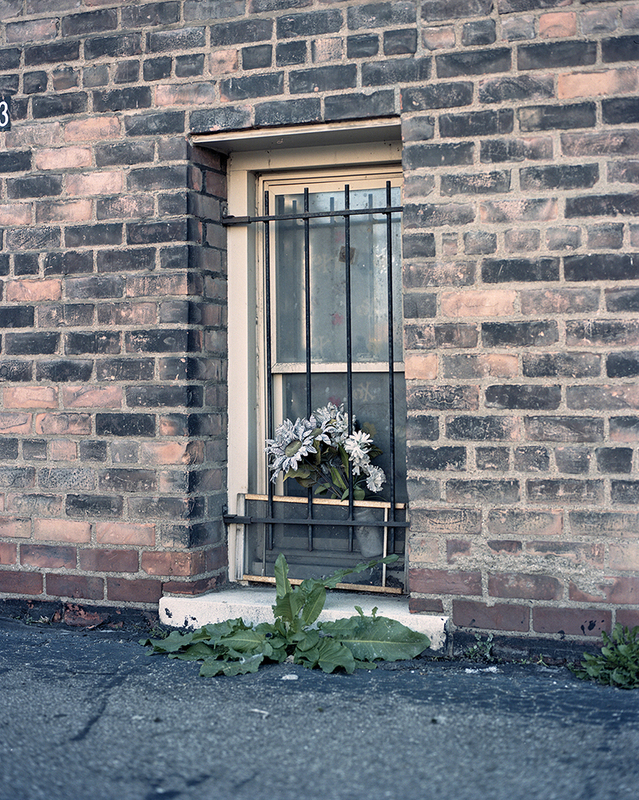 Jarod Lew (b.1987, Detroit, Michigan) is an Asian American artist/photographer based in Oak Park, Michigan. He received his BFA at Michigan State University in 2009. 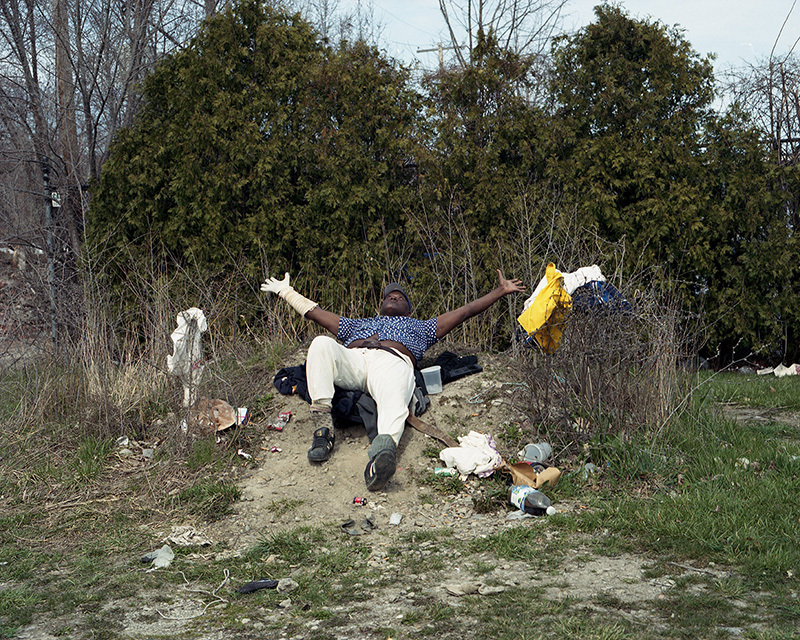 His work tries to better understand the complexities between human identity and the environment that surrounds it. 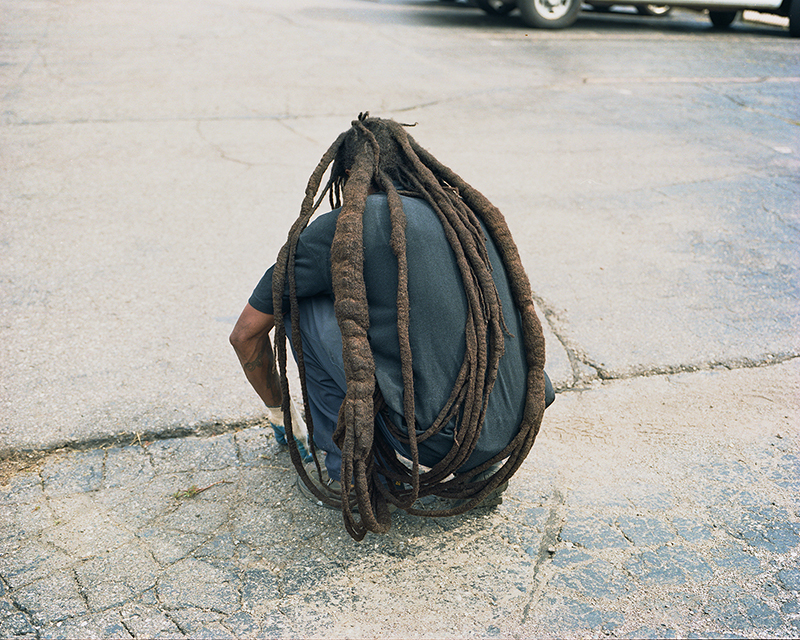 Lew has exhibited work at the Smithsonian Museum’s National Portrait Gallery, Kemper Museum of Contemporary Art, Art Museum of South Texas, Detroit Institute of Arts, Photoville 2016 and 2017, and other institutions and universities around the United States. 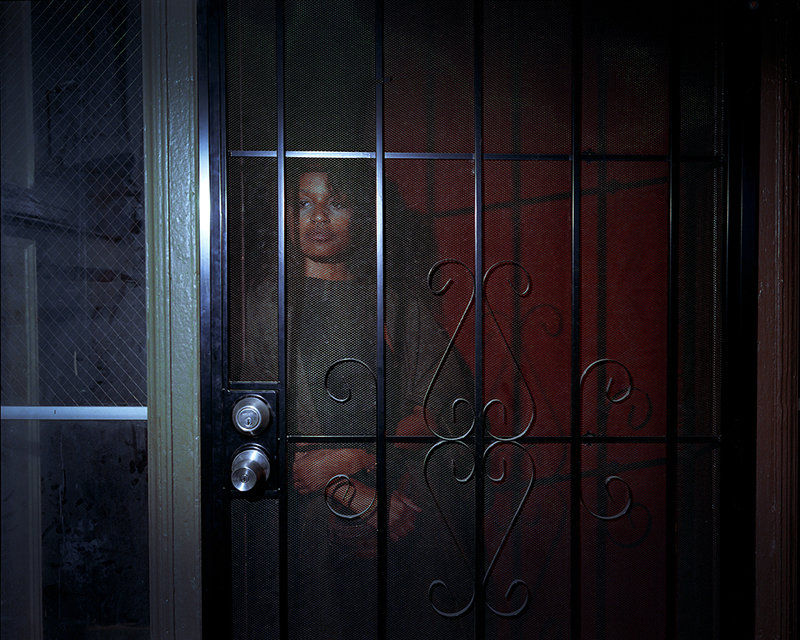 In 2016, his series Maybe I’ll See You There was awarded the PDN Exposure award. 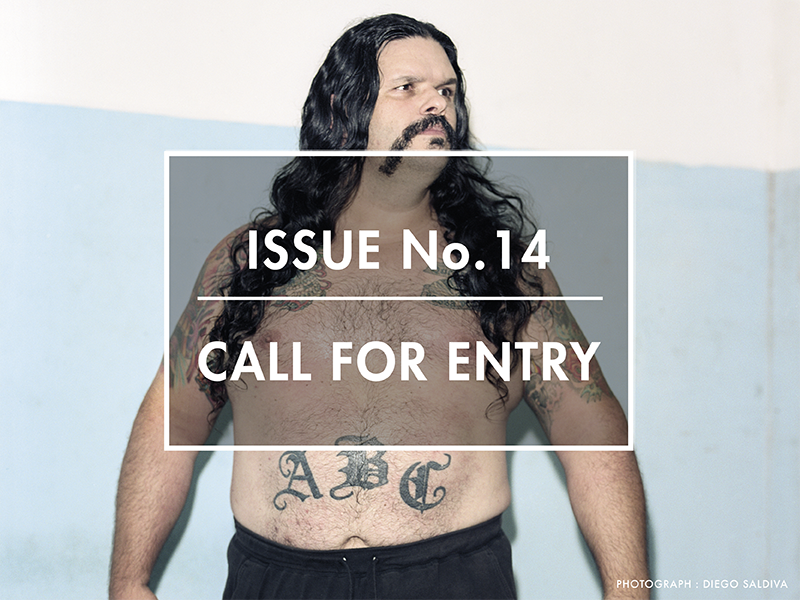 His work has been featured on BuzzFeed, Financial Times Weekend, and Lensculture. Neighborhoods all over Detroit are being renovated. 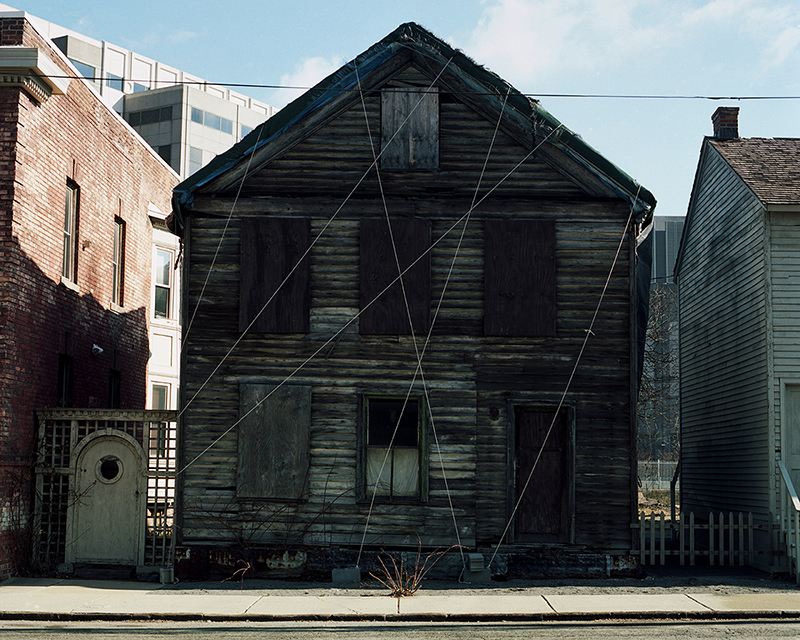 Old abandoned homes are being torn down and replaced with new ones. I came across this scene where two new homes stare at each other from across the street. The reminder of what was still lingers on under a new face. A group of young boys hang out by a fence while a laundromat burns to the ground. 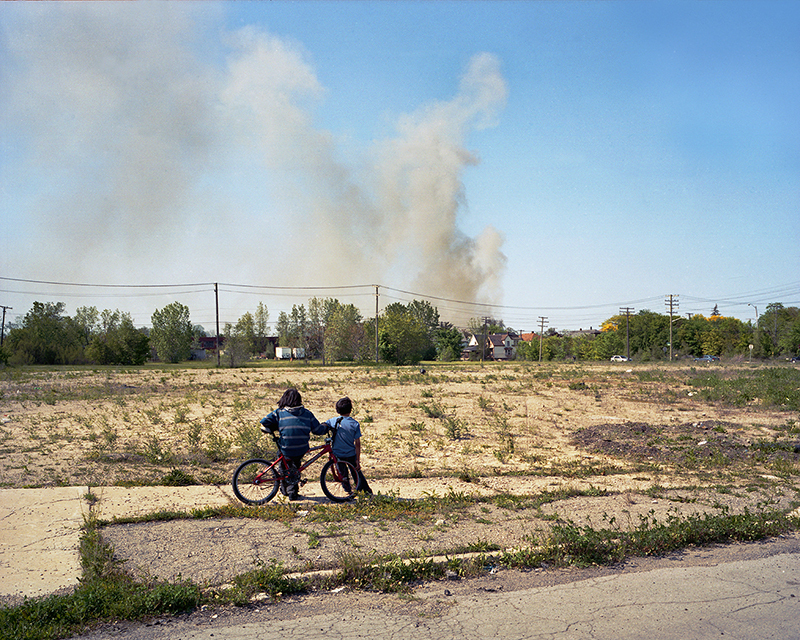 Two boys stare at a plume of smoke in Southwest Detroit. While making this photograph, one of the boys turned and informed me that there was another fire the week before that burned in the same spot. Maybe I’ll see you there presents a loosely woven thread that tries to connect certain themes and emotions that are often found within the city of Detroit to this day. Combining the climactic scenes of a fragmented past with intimate portraits of those residing within it, the photographs depict what life is like outside the epicenter of resurgence. The results show a still haunting past lingering outside the orbit of new change. 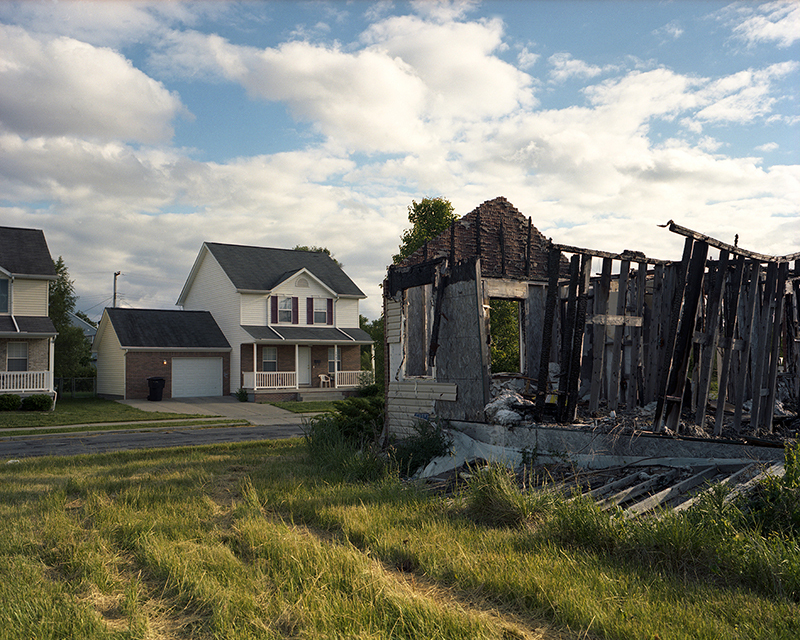 While traveling along these roads, one can still find plumes of smoke filling the sky on a hot summer day, a man dressed as an angel signifying hope, and a newly built home standing tall while staring at what was once an occupied neighbor. 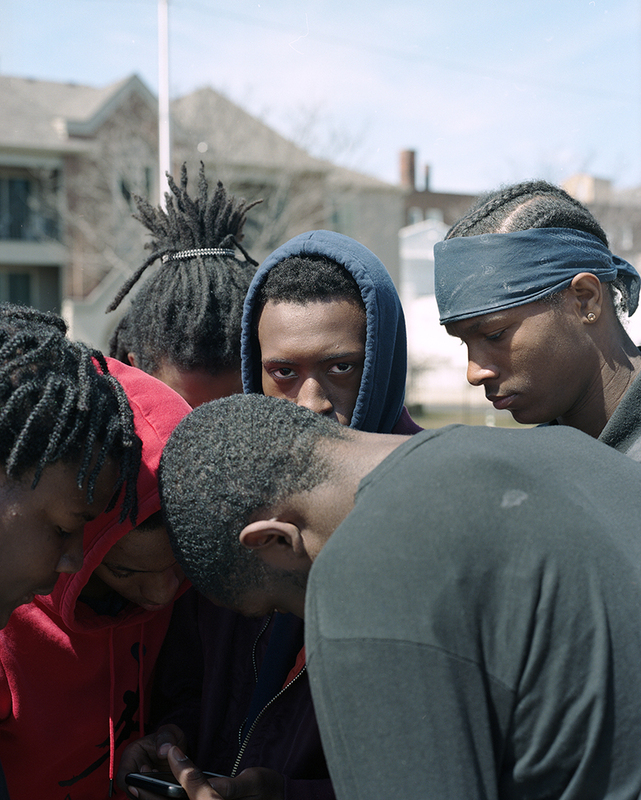 With the city’s history slowly being eliminated, this series tries to understand the uncertainty of everyone’s future in a city that is trying to find a new face. 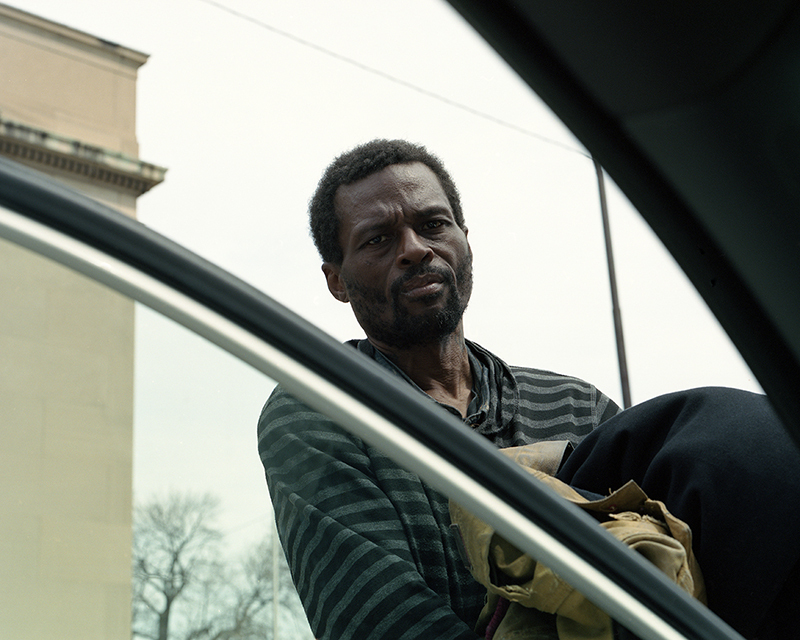 A portrait of Terrance and his belongings. He shared with me that theres nothing better than discovering your gift from God and using your talents even if it does not make you any money. 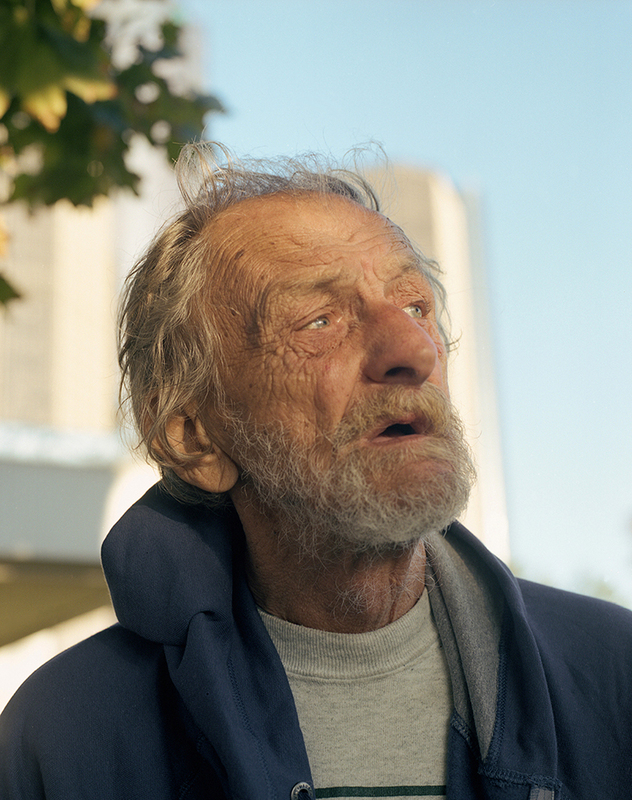 He had told me that dancing was God’s gift to him and that he only made a quarter the year before this photo was made. A portrait of a man dressed as an Angel. While driving down the road I saw this man following a man pushing a grocery cart full of what I believe to be his belongings. 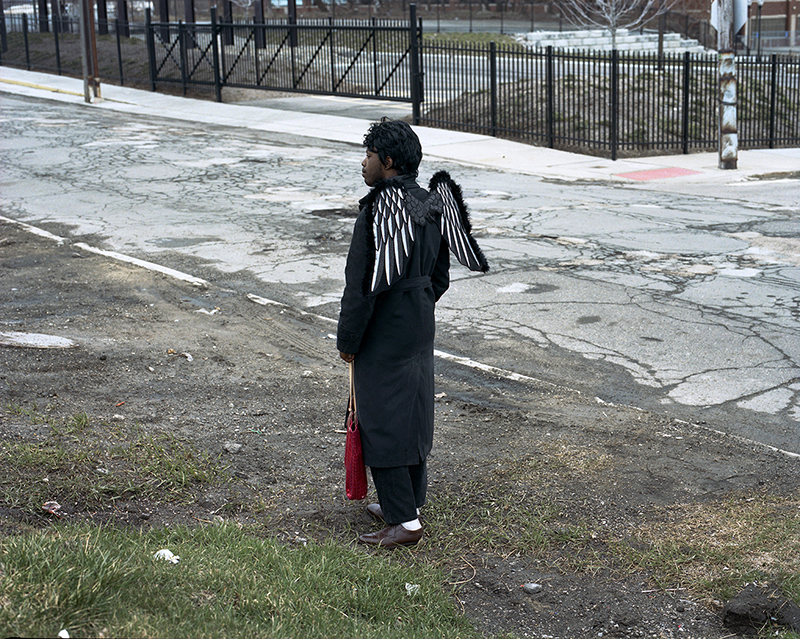 While making a photograph of the man dressed as an Angel, I asked why he was dressed that way. He smiled, and said “Because everybody needs an Angel!”. 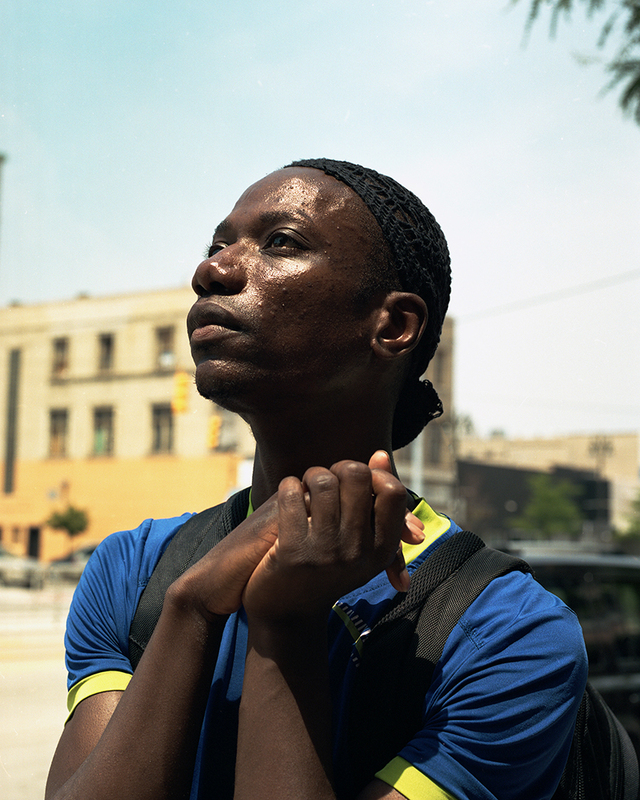 Marlon, a writer in Detroit whose work focuses on Mental Illness in the gay black community. A group of young boys hanging out in a parking lot. They had told me that they were not allowed in school because of an email that was not sent out by the staff at their school about wearing new school uniforms. A portrait of Mosi. Mosi was pulling weeds and cleaning the parking lot he works at. An historical home being renovated in a newly gentrified neighborhood. A young couple waiting for their ride after leaving summer school. 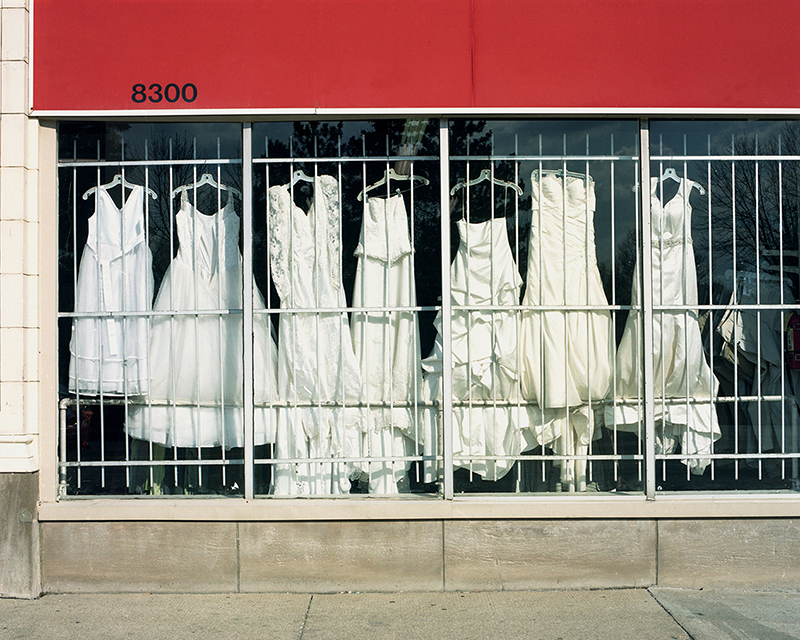 Salvation Army showcasing white dresses in the window. While making this photograph, someone asked if the reason I was making a photo was because it was for sale. About a week after the building was cleaned out and a for sale sign was posted in the window. 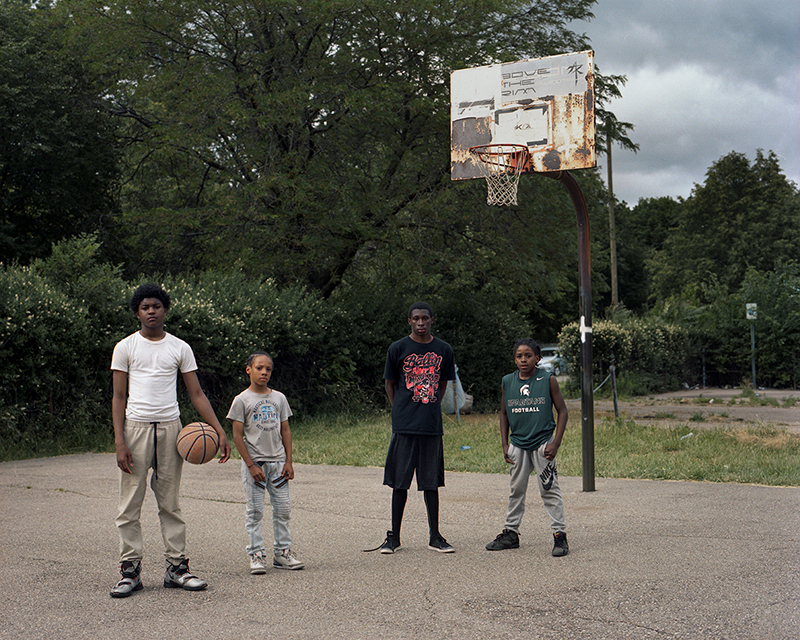 A group of boys playing basketball near the location of where the riots had taken place in Detroit. 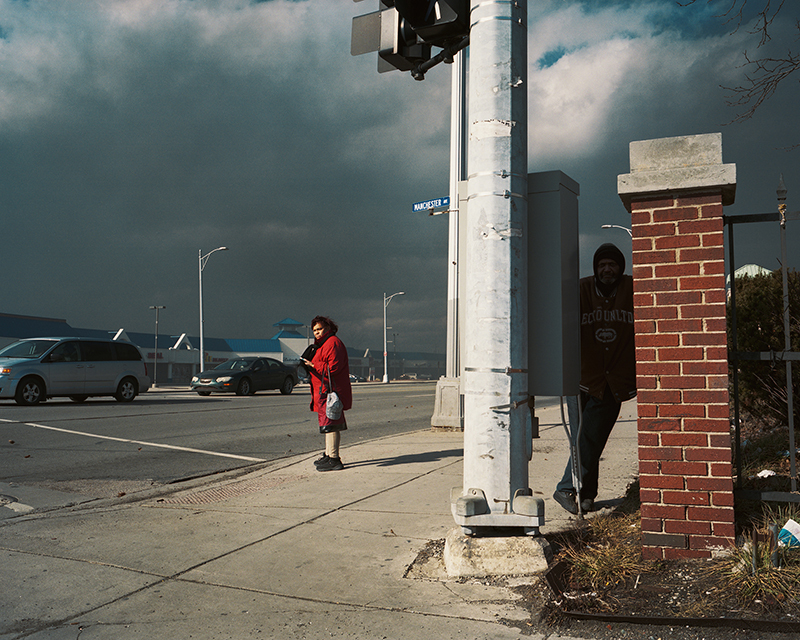 Dark clouds of smoke filled the air on Woodward Ave. The man in the shadows informed me that the fire department was going to let the fire burn until the buildings collapse. Smoke filled the air for one whole day before going out. A portrait of Danny outside my car. Anonymous man allowing me to make a photo of him. He did not want me to know his name. A young woman playing on Belle Isle. 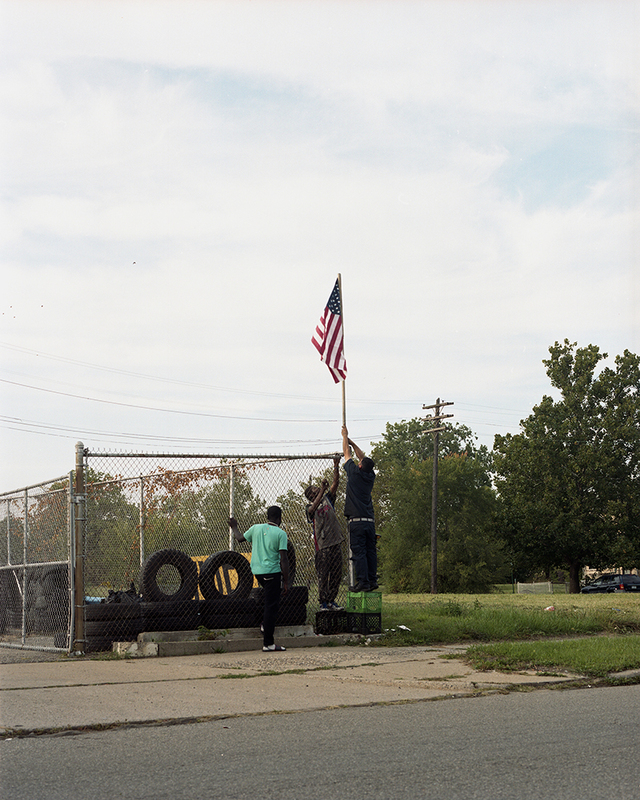 Belle Isle is an island that is attached to the city of Detroit where families go to hangout and family functions like barbecues, graduation parties, birthday parties or just to escape to hang out on the beach. Currently the island is being cleaned up and renovated. A portrait of Crystal in her college apartment doorway. An old house near a factory in Detroit. 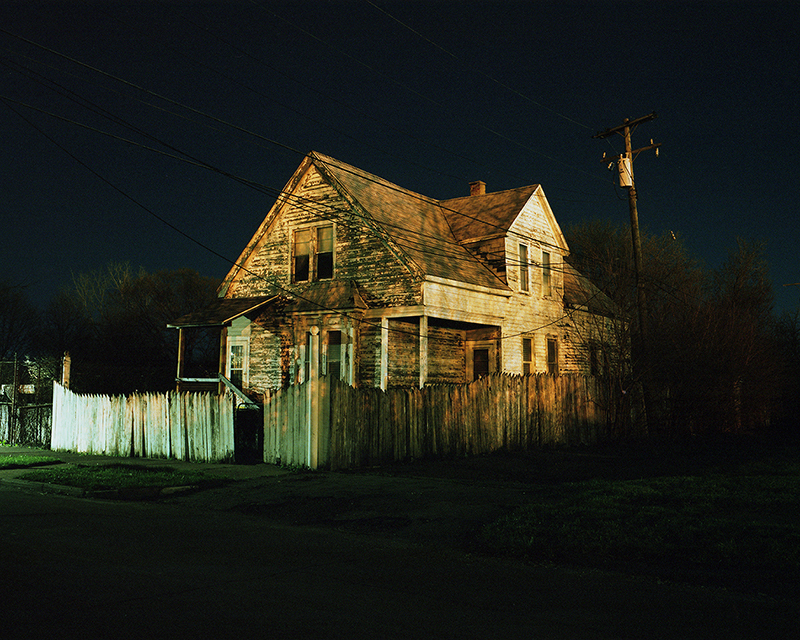 To view more of Jarod Lew’s work please visit his website.